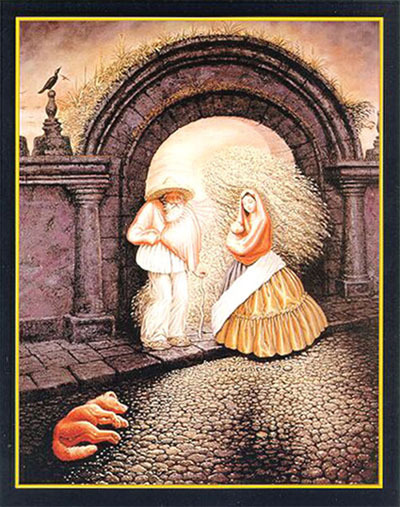 There are 8 faces visible, and with a little imagination, one more, total 9 faces. See the next few lines down. Four (4) here Three (3) here One (1) here, plus one (1) profile, off the page.